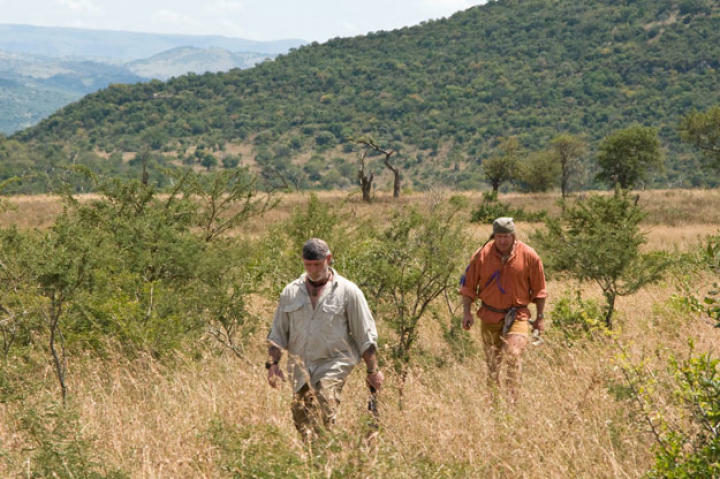 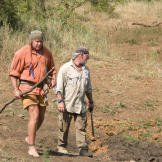 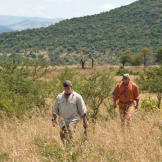 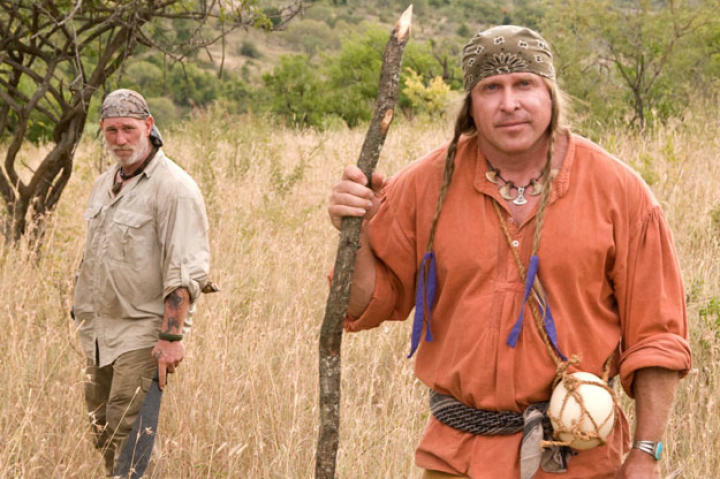 Cody and Dave pit their skills against classic African bush country of Kwazulu-Natal Province, South Africa. 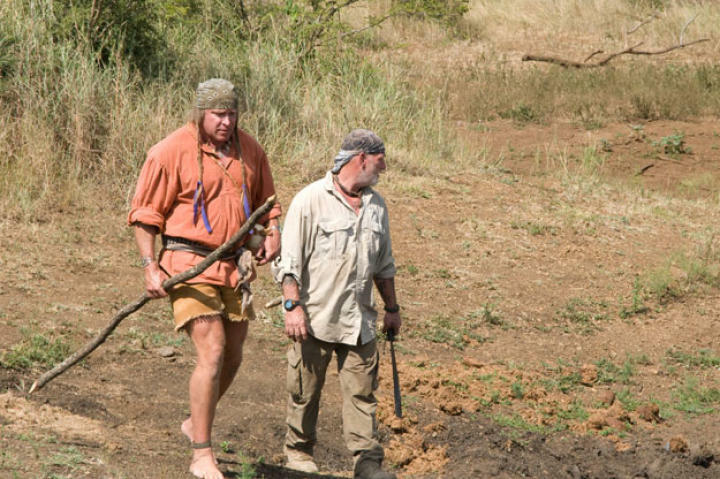 Because of the imminent threat of predators, they were given a machete that at least allows them to fashion rudimentary weapons like the sharpened staff that Cody holds. 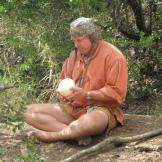 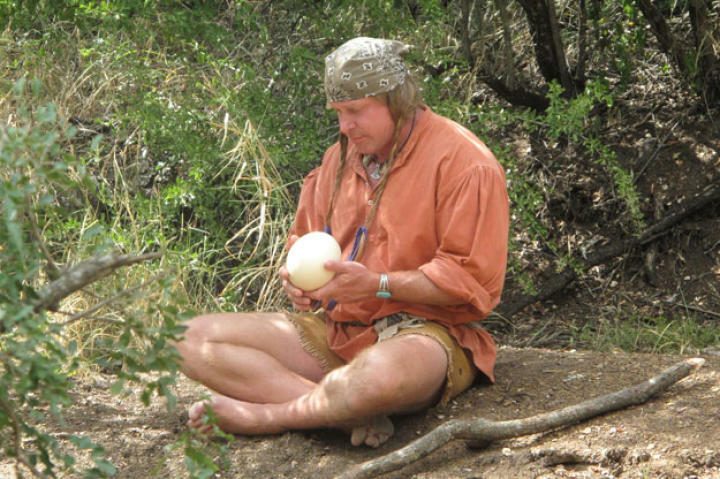 Everything else — including the ostrich egg canteen — is up to them.